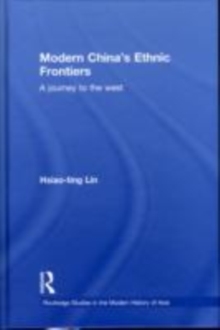 The existence of two Chinese states-one controlling mainland China, the other controlling the island of Taiwan-is often understood as a seemingly inevitable outcome of the Chinese civil war. Defeated by Mao Zedong, Chiang Kai-shek's Nationalists fled to Taiwan to establish a rival state, thereby creating the "Two Chinas" dilemma that vexes international diplomacy to this day. Accidental State challenges this conventional narrative to offer a new perspective on the founding of modern Taiwan. 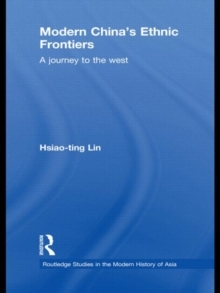 Hsiao-ting Lin marshals extensive research in recently declassified archives to show that the creation of a Taiwanese state in the early 1950s owed more to serendipity than careful geostrategic planning. It was the cumulative outcome of ad hoc half-measures and imperfect compromises, particularly when it came to the Nationalists' often contentious relationship with the United States. Taiwan's political status was fraught from the start. The island had been formally ceded to Japan after the First Sino-Japanese War, and during World War II the Allies promised Chiang that Taiwan would revert to Chinese rule after Japan's defeat. 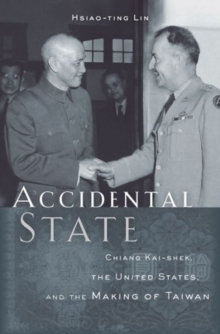 But as the Chinese civil war turned against the Nationalists, U.S. policymakers reassessed the wisdom of backing Chiang. The idea of placing Taiwan under United Nations trusteeship gained traction. Cold War realities, and the fear of Taiwan falling into Communist hands, led Washington to recalibrate U.S. policy. Yet American support of a Taiwan-based Republic of China remained ambivalent, and Taiwan had to eke out a place for itself in international affairs as a de facto, if not fully sovereign, state.